In the sea terminals for short distance traffic small ferries or catamarans are used. These terminals are not very big (in some cases it is a simple building with a ticket office) and they usually only have the inevitable services required by the law in order to render this public service. (In Barcelona harbor we find one of the simplest examples in the landing stage of the gondolas). 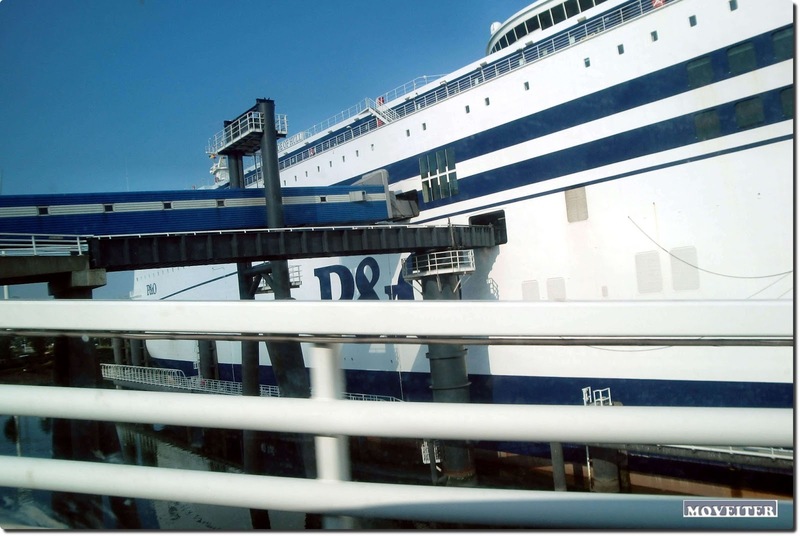 Already on another level are the sea terminals which serve ferry lines, such as big fast-ferries or even ferries with roll-on / roll-off capacity (the wheeled transport can drive directly onto the vessel and the drivers can travel as passengers on the ferry). These terminals show a higher sophistication as a consequence of the complex mobility in their installations. On the one hand we have the accessibility for the pedestrians, which has to be easy for the majority of the persons and the terminal has to be well connected with the urban public transport system, i. e. taxis, subway, and regular bus lines. In Spain the reception building of these terminals has to be adapted for persons with limited mobility according to the law 51/2003. These installations usually are equipped with waiting rooms, a reception area and luggage check, customs, police, public services, cafeteria… The access to the vessels is usually direct from the terminal building, well secured and without stairs or heavy slopes and normally landing gangways or fingers for pedestrians are used. For those passengers which arrive to these terminals with their private cars, expedition areas exist to regulate their direct access to the ferry, but on a different level so as not to interfere with the boarding of the pedestrian passengers. Once the vehicles have parked in the interior of the ship, they will be tied and secured by straps to avoid a shift of cargo which would put in danger the stability of the ship. The drivers are invited to go up to the upper floors together with the other passengers for the rest of the journey. When the destination harbor is reached, the owners of the vehicles have to return to the hold and to leave the ferry through the specially equipped accesses and then to follow an itinerary through the harbor installations until they reach the public road network. Thirdly, there are the big sea terminals, which give service to the cruises which are also known as “floating hotels”. In their harbor installations they provide for immense supplies with very specific necessities of food, security, comfort and with very peculiar service necessities as in these transatlantic cruises the journey is entirely linked to leisure and tourism. 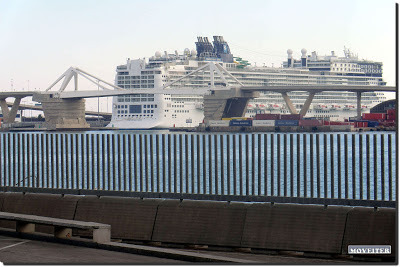 In this case the building of the terminal should have bigger dimensions in order to be able to house in given moments important masses of people mainly at the beginning and the end of each cruise. These sea stations provide for all of the services describe for the ferry terminals, but furthermore, the services related to the attention and assistance to the client are potentiated. In these terminals additional functions have to be answered as they are not services which have a simple transport function. In this case the journey itself supposes an additional benefit: the cruise means travel and leisure, and for this reason also reception and assignation functions have to be carried out as in any other hotel. 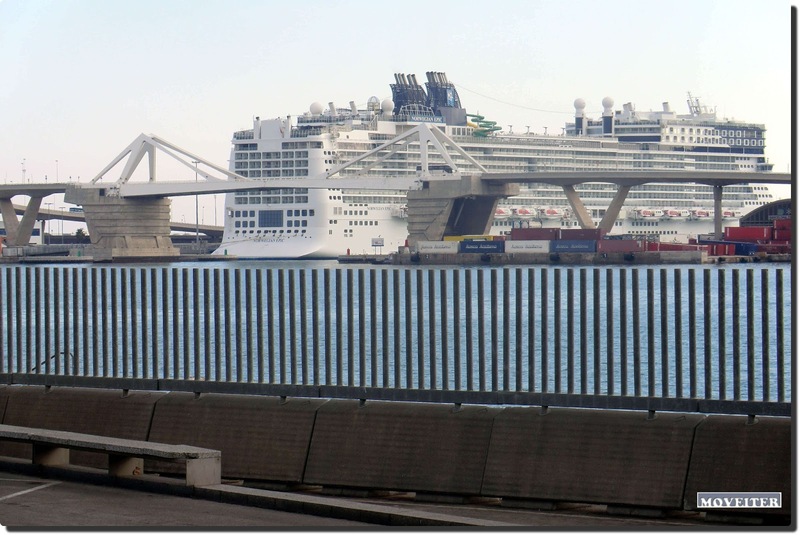 In this case, the car has not the same role as in the case of the ferries as it does not travel with the ship’s passage but usually stays in the terminal of origin, in a parking lot until the return of the “crusader”. Nevertheless, in the terminals for transatlantic cruises there usually exists an “ad-hoc” transport for this kind of tourism, which complements the public transport previously mentioned for the other types of terminals. The specific transport of these terminals carries out the administration of buses, micro-buses and taxis which play a very specialized role and with which the punctual mobility problems typical for those cruises are resolved. Thousands of persons move through these harbor installations within a very little timeframe and thus are producing temporary congestions both in the interior of the harbor as well as at its accessways. We also should not forget the mobility generated within the harbor to supply these vessels, which require important quantities of products (most of them commodity goods), which are delivered by trucks and delivery vans of different sizes and characteristics, in a short period of time. All this supposes a real logistic challenge. In these installations the harbor authorities and the shipping companies are constantly concerned to potentiate the fundamental aspects of safety and security. 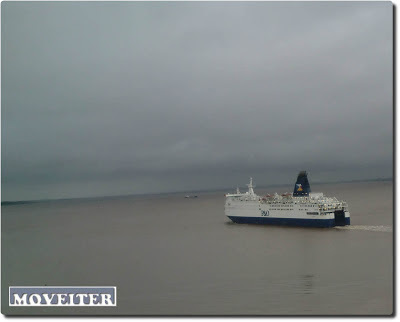 The business in this case is not focused on the transport of goods (although in case of the ferries also vehicles with their loads are transported), but instead is centered in the transport of persons and thus it is a type of traffic, in which security has to prevail. Another remarkable aspect where design is concerned is the care for a good accessibility to the passage in this type of installations, with a complete division between pedestrian and motorized traffic. The transport of passengers in cruises shows some very peculiar characteristics, as can be the elaboration of an additional offer with services linked to travel and leisure which satisfy the client in a way that he wants to repeat the experience. Maybe in these holidays a cruise is already awaiting you. For me this phrase unfortunately only remains a “desiteratum”.